The economical single-ply TidyNap napkins are one of the smallest dispenser napkins for limited-menu service operations, they offer strength and absorbency without sacrificing performance. 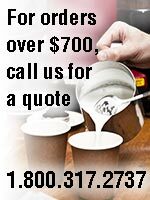 Designed to be used with the durable TidyNap low fold table and cafeteria napkin dispensers for quick and easy dispensing. 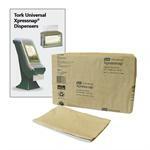 These unbleached 1-ply dispenser napkins are made from 100% recycled paper that contains 90% post consumer content. 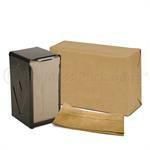 A great, natural alternative to bleached white paper napkins, they are 100% compostable in any compost environment. 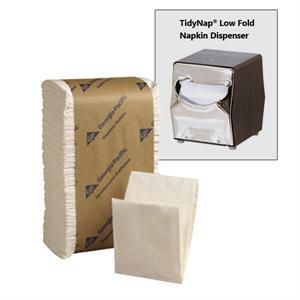 These N4 Natural Dispenser Napkins are made from 100% recycled fiber (90% post-consumer content) in a bleach-free process. Designed to be used with the Xpressnap dispenser system offering one napkin-at-a-time despensing.